Our field installable hose fittings are high quality and compatible with our item # H02-05 (COMPARABLE TO LINCOLN 252717) family of hose. Our field installable hose fittings have been very popular with our customers due to our low pricing, compatibility with different brands of SynFlex Hose, high quality and quick shipments. 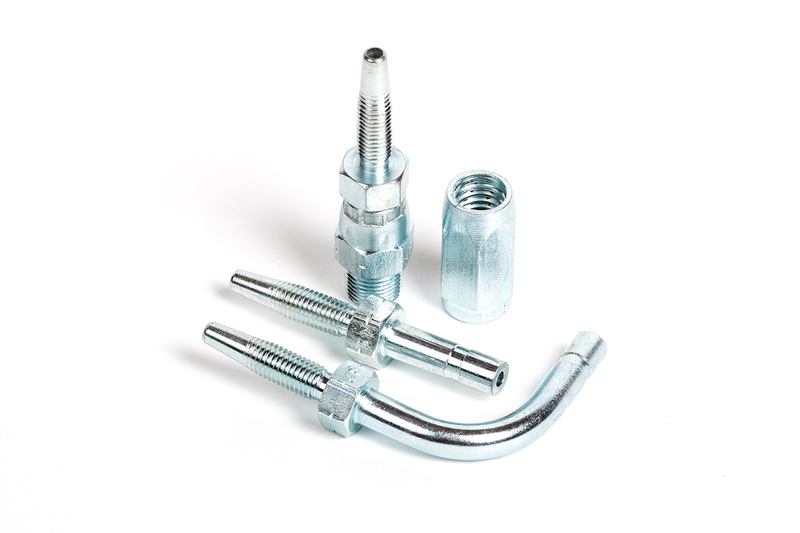 We also carry field installable hose fittings for use with our BH-338 (COMPARABLE TO LINCOLN 71900 AND 66844) SAE30R3 hose. 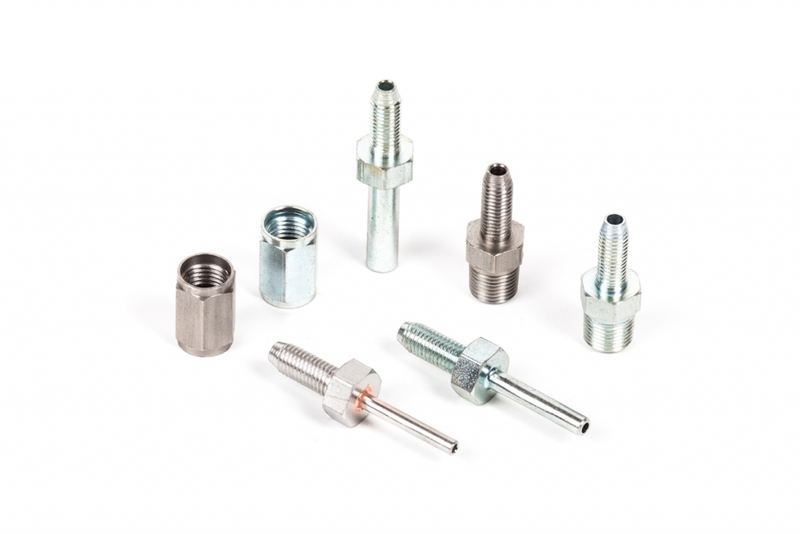 We have plated and stainless steel fittings available.